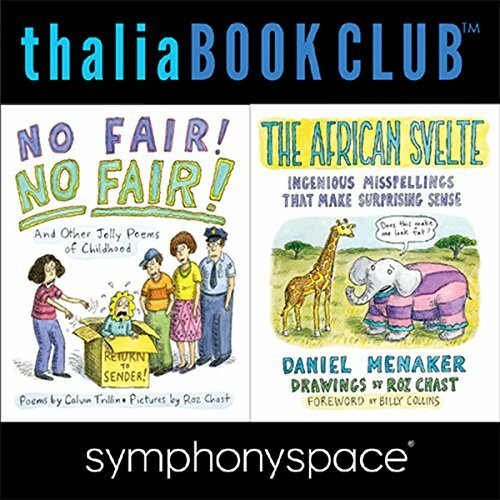 Thalia Book Club: Chast! Menaker! Trillin! Roz Chast brings her brilliant, hilarious artwork to No Fair! No Fair! and Other Jolly Poems of Childhood by Calvin Trillin and The African Svelte: Ingenious Misspellings That Make Surprising Sense by Daniel Menaker, as well as her own memoir Can't We Talk About Something More Pleasant?. Join us for a conversation moderated by Adam Gopnik (The New Yorker) between the artist and authors, plus readings by Jane Curtin and Reg Rogers (The Knick).